Let’s face it; gone are the days of old and mundane preprinted t-shirts. If you are like the best of us, the chances are that you want cheap custom shirts that marry well with your sense of fashion and style. That’s where online t shirt printing comes in handy. Trendy, elegant, and budget-friendly – what is not to love about online custom t-shirt printing? It is a great way to make your own t shirt, stand out in style, and express your individuality like never before. 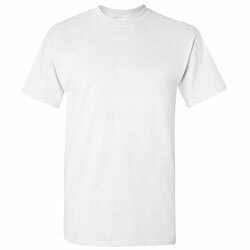 True, these cheap custom shirts offer an exciting color palette, and a snuggly, contemporary fit for everyone and every occasion. When all’s said and done, however, the secret to creating amazing custom t shirts boils down to the design. Remember making your own t shirt is a fantastic way to showcase your creativity. Wondering how to get started with your t-shirt designs? 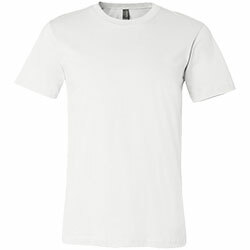 At Lanesha.com, you can make your own t-shirt in a breeze. Our beautiful design templates make it a snap to use your unique designs and order custom t shirt printing in no time! You can also preview it so you can get a feel of your custom tees. In this post, we have rounded up 8 tried and true tips on how to whip up amazing designs for your custom t shirt printing. This is a crucial step when designing cheap custom shirts. Whether they are for your next corporate event, trade show giveaways, birthday party or your new t-shirt business, the trick is to know your target audience. Are you designing for old or young, casual or formal group? Don’t forget that you are designing t-shirts that you want people to love, cherish, and wear for a long time. The easiest way to do this is to note down the persona of the end users –who they are, their interests, styles, and so forth. If you know where they shop for tees, you can easily figure out what they like. You can go from there and design something that’ll match their preference and taste in clothing. This is a no-brainer tip especially if you intend to make mass t shirt printing for your business. Don’t get caught up in the excitement of producing the next big hit design. Instead, take your time to explore every aspect of your design concept. Oftentimes that means you have to come up with lots of variations on the concept. More importantly, don’t hesitate to throw out ideas that seem to be out of place. The more you refine your concept, the more likely your t-shirt design will be eye-catching and on-point. The truth of the matter is that there’s a big difference between what you see on a computer screen and how it’ll look like on an actual t-shirt. That is why it pays to imagine the design on a t-shirt. In fact, don’t hesitate to mock up your design on a model shirt. If it’s not too much trouble, consider printing it out and placing it on an actual t-shirt. This way, you can view your t-shirt design in real size. When it comes to online custom t shirt printing, attention to detail is everything. There’s something of beauty about seeing a well-executed design with fine details on a t-shirt. But, when you make your own t shirt, it is best to keep it simple and easy. A simple t-shirt design has a classic look, and can convey the message without much hassle. Anything too complicated is a big no-no as far as t shirt printing is concerned. Color choice is more important for your t-shirt design than you think. You can use different color pairings and tones to make your t-shirt design stand out and bring out the best of your cheap custom shirts. When coupled with a well-designed artwork, the right color can make a huge difference to the visual aspect of your t-shirt design. So, don’t be afraid to hone up on your color theory, and most crucially use contrasting and complementary hues to take your designs to the next level. Try awkward colors. Mix and match – you may end up with something fantastic. And when it comes to color palette, your possibilities are limitless. At the end of the day, you might want to use Pantone colors. You see, the beauty of Pantone colors is that what you see on design screen is what you’ll get on the final product. The world of t shirt printing is always evolving. New color palettes, new styles, and new ideas come and go. That is why it pays to stay ahead of the game. In other words, get inspiration and design ideas from what is currently hot in t shirt printing. Nonetheless, don’t be a copycat – everybody hates a plagiarist. The good news is that social sites like Instagram, Pinterest, and Reddit offer a fabulous platform to stay on top of the latest trends. Check out what celebs, graphic designers, and t-shirt connoisseurs are churning out behind closed doors. Is there anything better than placing a clever joke on your cheap custom shirts? The truth is that t-shirt humor is not for everyone. The last thing you want is for your joke to come across as cheap and blatant. The bottom line is to infuse some subtle humor into your in-your-face and loud t-shirt designs. If you want to make your own t shirt and ensure the whole process is hassle-free, it is important to work with a reliable printer. Try a top-notch online company like Lanesha.com to do your t shirt printing. They have what it takes to deliver high-quality, cheap custom shirts that’ll simply knock your socks off.